Notice that news of these truces and evacuations is coming faster. One group in one town tells a group in another town that their negotiations with the military went well, and so the other group wants to start negotiations. Keep in mind that the vast majority of Syrians never wanted to overthrow their government, and they certainly never intended their country to be overrun by foreign mercenaries. What these towns have needed, however, is assurance that the SAA can help them with security; not an easy demand to fulfill, given how stretched the military is. But you can see from the following reports (and from what happened in Daraya) that the army is getting better at stepping up to the plate. Now if the Chinese and Indians can help with creating jobs in Syria, I hope and pray, and if Beijing can lean on Al Saud and Al Thani to call off their dogs, this war stands a chance to wrap up quickly despite NATO machinations to keep it going. ... Reports have appeared that a Daraya-style agreement has been reached in al-Waer in Homs. As result some 500 militants with families will be evacuated towards Idlib and the town will be transferred to the Syrian army. 220 people will be also evacuated from Mo'adamiyeh which is located west of Daraya near the Syrian capital, Damascus. 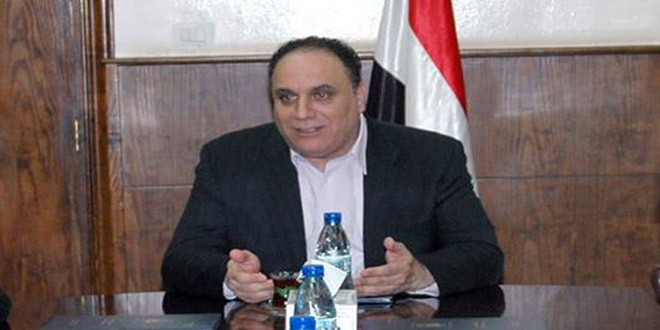 Homs, SANA – Homs Governor Talal al-Barazi affirmed on Wednesday that a truce has been reached in al-Waer neighborhood in Homs city in preparation for the re-activation of the terms of the previous agreement for making the neighborhood free of weapons and militants. On December 2015, 720 persons including militants and their families were evacuated from the neighborhood in implementation to the first phase of the agreement reached by the special committees for resolving the situation in al-Waer. 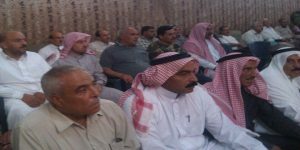 Homs, SANA-In the framework of local reconciliations, fifty towns and villages from the eastern countryside of Homs joined on Monday the cessation of hostilities agreement. 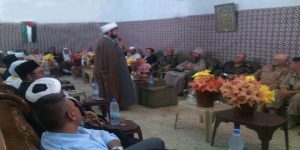 The reconciliation process was announced during a meeting in al-Rayan village to the east of Homs city in cooperation with the Hmeimim-based Russian Coordination Center in the presence of a number of elders and leaders of clans. Commander of the central region said during the meeting that the local reconciliations in Homs form a step towards to achieve the comprehensive national reconciliation in the entire territory of Syria, hailing the exerted efforts of Hmeimim-based Russian Coordination Center within the framework of local reconciliations as well as the efforts of the elders of the eastern area in Homs. In turn, Head of Hmeimim-based Russian Coordination Center Sergey Schwarkov affirmed the importance of the reconciliation to restore peace and security to Syria, thanking the elders of the local community in the villages of Homs eastern countryside for their role in achieving reconciliation. According to Hmeimim-based Russian Coordination Center, around 486 villages and towns had joined to the cessation of hostilities agreement since it came into force on 27th of February. Algeria could soon be the envy of the Muslim world given the news that the nation’s record breaking, ultramodern Great Mosque is nearing completion. The Djamaa el Djazair, or Great Mosque of Algiers, has been under construction since 2011 and is being billed as the third largest mosque on the planet. The German-designed mosque also looks set to surpass neighbor Morocco with the tallest minaret in the world by nearly 200 feet, after years of project setbacks. The Algerian League for the Defence of Human Rights (LADDH) said on Friday that there are 14 million Algerians living below the poverty line in the country, Anadolu reported. This number, the group said, represents 35 percent of the Algerian population which is 40 million. In a statement, LADDH said the statistics were published on October 17 to mark the World Day against Poverty. LADDH stated that this high number of the poor reflected the bad economic situation of the country, noting that the study included 4,500 samples. All confirmed that their daily income is less than $1.45, which is the poverty line stipulated by the UN. The group noted different forms of poverty in Algeria, citing deteriorating living standards, poor healthcare services, high rate of unemployment, an increase among Algerians seeking migration and increasing number of beggars. According to LADDH, which is an NGO, the official numbers contradict its findings, as the Ministry of Solidarity said that there are only 700,000 poor Algerian families. The Ministry of Religious Affairs said that there are approximately 660,000 poor families, while the Algerian Red Crescent Committee said that it counted 15,000 poor families. O Magnum Mysterium: Why has Christianity declined so much in a land that produces the greatest Christian choirs? Isaias Ramos Garcia: its a WONDER why are the english the best performers of this castilian composer? The "Castilian" Garcia refers to is Tomás Luis de Victoria, one of the greatest composers of Christian music that 16th Century Spain produced -- and, since the resurgence of interest in Victoria in the 20th Century there are some who consider him possibly Spain's greatest composer. Garcia was commenting on a recording posted at YouTube of Victoria's version of a Christmas liturgical chant titled O Magnum Mysterium (OMM), sung by a British choral group called The Sixteen. OMM itself experienced a resurgence of interest in the 20th Century with the American composer Morten Lauridsen's version, published in 1994. Since then OMM, and in particular Lauridsen's work, has become a Christmas staple of Christian choirs the world over, with seemingly countless renditions of it published to YouTube. I learned about OMM from Charles Cameron, who sent me a rendition of Lauridsen's OMM sung by the Westminster Choir at Westminster Cathedral as part of the cathedral's Christmas Mass in 2009. The setting is stunningly beautiful, as the poster at YouTube aptly described it, and beautifully filmed. I confess I was so busy gawking that I had trouble concentrating on the music. And so I climbed aboard YouTube's magic carpet in search of a less distracting setting for the music. During the course of my journey I learned the story of how Lauridsen came to write his masterpiece; I learned about Tomás Luis de Victoria; and I learned more about Christian liturgical music than I could fully absorb. I was finally deposited at a completely undistracting video of Lauridsen's OMM sung by the Nordic Chamber Choir. By then my interest in OMM had been piqued, and so I returned to YouTube to search for versions that predated Lauridsen's. That is how I came upon Isaias Ramos Garcia's comment and the responses to it. My first thought was that the commenters were right; while there are great Christian choirs in other countries, the sheer number of great choirs and choral societies in the U.K. make the British not only wonderful interpreters of Victoria's work but arguably all sacred music. Indeed, Ryuichi Sakamato turned to a British choral society, The Ambrosian Singers, for Acceptance, his composition for the film "Little Buddha," which transcends religious traditions and evokes the majesty of human striving for the sacred. My second thought was to wonder how a land that produced such an abundance of exalted renditions of Christian church music could also be a land that has seen a striking decline in Christian church attendance for well over a century. In an undated article (from the notes, probably published in 2014), the pastor of Twynholm Baptist Church in Fulham, England, Mike Gilbart-Smith, argues that the statistics used to produce the grim prognosis for Christianity in Great Britain are misleading, and that actually evangelical Christianity has not seen a decline. But he does allow that the percentage of evangelicals in Great Britain (Wales and England), is quite small. And he admits that his argument is up against statistics that mercilessly point to a great decline in church -- at least High Church -- attendance in Great Britain. A 2016 article by the Guardian states that the "proportion of population who describe themselves as Anglican has halved since 1983." Gilbart-Smith proffers several possible reasons for the decline, including his droll observation that shopping at malls, a popular alternative to Sunday church attendance, wasn't possible until the Sunday Trading Act of 1994. The pastor's argument that Christianity is still very much alive and well in Great Britain has been countered by a thunderclap of opinion this year from British publications, including The Spectator and Guardian, which seem quite prepared to read the last rites for Christianity in Great Britain. * See notes in Gilbart-Smith's article about the above map. However, I haven't noticed a decline in great performances of Christian music in the country, although if many churches have actually gone out of existence or experience very low attendance, of course this would affect the number of church choirs -- and more to the point, the amount of donations that help keep the choirs going. Look at the still-life at the top of this post. What do you see? If you tell me you see the Virgin Mary and the Mystery of her giving birth to the Christ, either you are already familiar with the painting, made famous in this era by Morton Lauridsen's explanation of how it inspired his version of O Magnum Mysterium. Or you are steeped in the symbolism of the High Church and/or the use of Christian symbols in art. I'm sorry but the symbolism is so abstract that those are the only ways to read Mary and the Virgin Birth into a painting of fruit, a flower, and a cup of water, although I'll concede the symbolism could have been understood by well-educated Christians centuries ago in Europe. Lauridsen himself did not understand the symbolism of the painting when he first saw it -- a point he does not make clear to readers in his 2009 article for The Wall Street Journal about the painting It's a Still Life That Runs Deep, and its role in inspiring his version of OMM. From his oral account, what happened is that Lauridsen was emotionally overwhelmed as soon as he saw the painting -- and to such extent that it almost sounds as if he went into physical shock. In any case, he then he lost sleep trying to figure out why the painting had such an extraodinary effect on him. Exactly why is a bit of a mystery, which might have its solution in one or more of his past lives. to bear Christ the Lord. Alleluia! The rest, about how he wove together these themes into a new version of OMM is, as it's said, history. It's also highly technical craft -- so much so that only other accomplished composers, those with detailed knowledge of the craftmanship that goes into choral music for Christian sacred music, can follow his explanation. His explanation is almost simple next to the Wikipedia description of Tomás Luis de Victoria's compositions for the church. Yet if one thinks about it, the genesis of all the complexity was simply a bunch of guys singing together in a monastery. As the bunch became larger there had to be ways to work all the different voices into group song that didn't break eardrums. Not as easy as it might sound, and thus, the birth of the craft of the liturgical chant, which led to Ambrosian and Gregorian chants and their offshoots. All that technique culminated in a glorious art form. The tradeoff, I think, is that when song as the language of the heart becomes performance art, something of essence is lost. And so, by a great irony, the very glory of British Christian chorale singing just might be a reason why many British drifted from the Church. O Magnum Mysterium is a responsorial chant from the Matins of Christmas. Then the Wiki author contents himself with providing the lyrics and a dauntingly long list of "modern"composers who've written versions of OMM -- not all of them necessarily modern given that Victoria's name is on the list. Palestrina’s six-part motet "O magnum mysterium" was published in Rome in 1569 as part of a collection of motets for five, six and seven voices. It’s a six-part motet that Palestrina wrote for Christmas – the Feast of the Nativity and is both a beautiful piece of music and a marvellous example of his skill. In it Palestrina trys, and largely succeeds, in expressing the joy and awe felt by the shepherds as they celebrated Christ’s birth and worshipped the Christ-child as he lay in a manger. For this motet Palestrina took his text from the first half of the fourth and third Responsories at Matins on Christmas Day. It opens with a slow series of chords that announce the "great mystery and wonderful sacrament" ("O magnum mysterium et admirabile sacramentum") and continues with a series of voices in different combinations before breaking into a chorus in triple time representing the "chorus of angels praising God" ("chorus angelorum collaudantes Dominum"). Palestrina ends the first part of them motet with a series of ‘Alleluias’ in double time. of angels praising God. Alleluia. Dicite, annunciate nobis quis apparuit? Whom have you seen, shepherds? Speak, tell us who has appeared? Syrian War pundits fiercely debate import of Turkey's invasion of Syria. Bring popcorn. Gee, Col. Lang was smart to go dark on his blog until after Labor Day in a successful ploy to avoid spattering pundit goo in the Sic Semper Tyrannis comment section. But you can tune into the debate by reading American-in-Moscow Mark Sleboda's handwringing piece for Moon of Alabama, The Turkish Invasion Of Syria As Path To "Regime Change" and the comments, replete with links to all manner of fascinating news reports and other pundit debates on said topic. Wait wait! I see Col. Lang cracked! [roaring with laughter] Popcorn! I need popcorn! But what music to accompany the weighty words of experts on U.S., Russia, Syria, and Turkish war policies? I know! Featuring two of the world's most phlegmatic dogs. SouthFront Syrian War Sitrep August 29: "Militant Strongholds Fall Near Damascus"
The situation in Aleppo city remains tense. The Syrian army, Hezbollah and the National Defense Forces, supported by Russian and Syrian warplanes, have been continuing pressure on Jaish al-Fatah militants in the areas of the 1070 Apartment Project, the Air Force Technical College, the Ramouseh Roundabout and the Khan Tuman-Ramuseh road. It’s expected that the pro-government forces will attempt to physically cut off the road advancing on Mushrifah from the Um Al Qara Hill. If the Syrian army and its allies are able to achieve success in any of the aforementioned directions, the militant defenses in the area could easily start to collapse. There are also reports that 2500 servicemen of the 4th Armoured Division of the Syrian Arab Army will be deployed to reinforce the Syrian government forces in southwestern Aleppo in coming days. Local sources report that following the surrender of Daraya city near the Syrian capital, Damascus, militants are going to withdraw from the nearby town of Moadamiyeh. The first reports about such possibility appeared on August 26 and have been repeated by various sources since then. Negotiations between representatives of Moadamiyeh militants and the Syrian army have reportedly been ongoing since August 25. If it’s confirmed, the liberation of Moadamiyeh will become an important step on a long way to secure the area of Damascus. The Free Syrian Army and other Turkish-backed militant groups, supported by Turkish ground and air forces, have been advancing southwest of Jarabulus. The fifth day of the Turkish Operation Euphrates Shield resulted capturing the villages of Amarina, Ayn al-Bayda, Dabis, Balaban, Suraysat, Jub al-Kussa, Maghayer, and Qiratah by the Turkey-led forces. Most of them were seized from the predominantly Kurdish Syrian Democratic Forces (SDF). By August 29, the Turkey-led forces have crossed the Sajur River and have been developing their advance further. According to leaders of militant groups involved in the operation, the Turkish-led forces are going to seize Al Bab and Manbij and link Jarablus and Al Rai. Meanwhile, the United States has temporarily halted all arms supplies to the SDF. While Ankara denies any civilian casualties, non-Turkish sources report that over 50 civilians have been killed since the start of operation. The footage and photos appeared last weekend, showing the beating of captured SDF fighters by Turkish-backed militants in northern Syria. Pro-Kurdish sources also argue that the SDF fighters have been tortured and Turkish soldiers involved. However, no proofs of the involvement of Turkish servicemen have been provided. "Rebels on the verge of surrendering another key town near Damascus"
At 5 this morning in Washington I posted a FARS report about a domino effect building among Syrian rebels to work out truces with the government. Twelve hours later, on the other side of the world, Leith Fadel was preparing to file a report for Al Masdar News on the next domino about to fall. Damascus, Syria (5:30 P.M.) – Last week, the Islamist rebels of Liwaa Shuhada Al-Islam surrendered the strategic town of Darayya to the Syrian government after four years of intense fighting. Within hours of the surrender announcement in Darayya, the nearby Islamist rebels in Mo’adhimiyah contacted the government delegation they worked with to achieve the reconciliation agreement earlier this year. The Islamist rebels told the government officials that they are willing to renegotiate a deal that would surrender Mo’adhimiyah to the Syrian Arab Army (SAA) in exchange for transportation to the Idlib Governorate. According to a military source in Damascus, the government and opposition delegations are currently meeting in Mo’adhimiyah; however, no further details were given to Al-Masdar News regarding the negotiation process. Mo’adhimiyah is situated at the western border of Darayya in the West Ghouta region of rural Damascus (Rif Dimashq). "The SANA reporter noted that the gunmen had set fire to many of their headquarters and positions inside Daraya before their departure, just like their fellow militants did yesterday. The positions set ablaze contained computers and communication devices, proving that the gunmen had external affiliations, according to the reporter." The truce that led to the liberation of Darayya (also spelled Daraya) has actually been on the way for months. In the biggest unreported story about the Syrian war in the Western press, many thousands of Syrian rebels from all over Syria have been accepting the government's terms to receive amnesty. This is in turn has robbed mercenary armies of rebels they control. The story flew under the radar (except for those who've been closely following SANA and FARS war reports for the past year) because the numbers were rarely above 100 for these truce deals; often it was only 50 people or even less who showed up at an army station to have their status checked. But the numbers had been adding up, and their growth accelerated after Russia entered the campaign. In fact, if Saudi Arabia and Qatar and their Western backers would call off their dogs, this war can wrap up in a matter of months because of the simple truth that Western and Gulf press keep omitting from their coverage of the war: Most Syrians never wanted to overthrow their government. In fact, if the West would only throw Assad's government a few billion dollars, he could use it to provide make-work jobs for the many thousands of Syrians who don't want to fight anymore. In fact, lack of jobs is the biggest obstacle to peace right now. As to whether this scenario could happen -- FARS is carrying a report today headlined. Saudi Arabia Preparing, Equipping 5,000 Al-Qaeda Terrorists to Fight Yemeni Army in Najran Province. Najran, for people who haven't been following the Yemen war, is in Saudi Arabia. Not all these fighters would be coming from Syria; see the report for details. But if the Saudis have to pull mercenaries from Syria to defend the province, which is under serious threat of falling, this could help the domino effect in Syria. For now -- with or without the Yemen conflict, the following report gives real hope that Darayya is the turning point in the Syrian war. TEHRAN (FNA)- A military analyst underscored the strategic importance of the town of Darayya in Southwestern Damascus and the significant role Darayya's liberation can play in winning other battles against terrorists groups across Syria. "Liberation of Darayya is equal to enhancing security in areas around the capital, Damascus. It will also help disengage 2,500 soldiers of the fourth division who will be able to join their comrades in other battlefields," the analyst said. "In a domino-like pattern, the Syrian army will gain the upper hand against the terrorist groups across the province from Jobar, Khan Shieh, al-Mo'adhamiyeh, and Mokheim Yarmouk to Eastern and Western Ghouta, Douma and the province's borders with Quneitra and Dara'a and Jordan," the analyst further added. "Liberation of Darayya can start the countdown for the final collapse of terrorism and extremism in the country," the analyst underlined. The Russian Defense Ministry confirmed on Sunday that 120 more militants have voluntarily left the Damascus suburb of Darayya with their families. The reported departure comes shortly after Syrian state television announced that a four-year of siege of the area had drawn to a close. "120 militants and their family members, 230 persons in total, have left Darayya city of their own free will. They headed to Idlib ... on buses," the ministry said in a statement on its website. The Defense Ministry also added that 265 civilians, purportedly mostly women, children and the elderly, had been taken to a settlement in the Damascus province. Damascus Countryside, SANA- The second phase of the implementation of the agreement which was reached to evacuate Daraya city in western Ghouta of weapons and gunmen ended on Saturday in preparation for the return of locals to it. Speaking from inside Daraya, SANA reporter said that by ending the second phase, Daraya will be completely free of terrorists after evacuating the rest of locals to makeshift centers in Harjjaleh, in addition to evacuating the rest of gunmen with their families to Idleb countryside. The reporter noted that the gunmen had set fire to many of their headquarters and positions inside Daraya before their departure, just like their fellow militants did yesterday. The positions set ablaze contained computers and communication devices, proving that the gunmen had external affiliations, according to the reporter. Tens of buses had entered the city earlier today to evacuate more people and gunmen. Those buses transporting families have already left the city towards the makeshift centers, while others transporting gunmen and their family members have headed towards Idleb city, after being searched at army checkpoints as they cannot take any medium or heavy weapons with them. Later, Governor of Damascus Countryside Alaa Ibrahim toured some neighborhoods in Daraya city and inspected the situation there, telling the reporters that engineering teams will be sent to the city to set up plans for reconstruction there. The governor noted that the evacuated families are being located to a makeshift center in al-Hirjalleh village in al-Kiswa area to the south of Damascus. The center includes 724 housing places, 300 of which are fully equipped and prepared, according to Ibrahim. The governor said that the Sub-Committee for Relief in Damascus Countryside provided all needed supplies for locals of Daraya in Herjjaleh in cooperation with the Syrian Arab Red Crescent (SARC) in addition to providing health care and other necessary services. 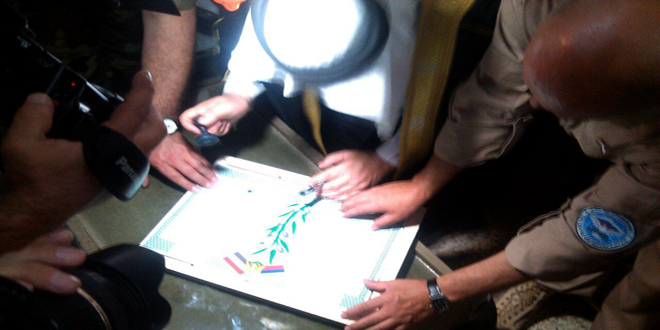 The governor pointed out that Daraya locals, who were besieged for years, are now under the protection of the Syrian state, adding that during the coming days, service infrastructure which was destroyed in the city by terrorism will be gradually rehabilitated in preparation for the return of locals to their houses. On Friday, a field commander told reporters that a number of gunmen wanted to have their legal status settled, noting that the Syrian government has agreed to this in accordance to the laws and regulations. For his part, head of media department in the political administration Brigadier General Sameer Suleiman said in a statement to reporters that the achievements of the Syrian Arab Army in Daraya come within the framework of the achievements made on the ground in the war against terrorism. This achievement is a new proof of the ability and will of the Syrian Army that is determined to defeat terrorism completely and restore security and stability to every part of the Syrian territories in addition to the ability of the Syrian people who love life and who are able to achieve all objectives, Suleiman added. On Friday and Saturday, all locals were evacuated of Daraya to makeshift centers in Herjjaleh, while 700 gunmen were evacuated with their families to Idleb countryside after handing over their heavy and medium weapons to the army units which carried out recently intensive operations against dens of terrorists who were forced to surrender. Heh. So he can carry a tune after all. [shaking her head] What a character. From the same Heartbeat Tour at Budokan. "Yet only one day later, Obama had been informed that both these statements were false. It's clear that the UK defence lab scientists and defence intelligence officials were well aware that the JIC was misleading the House of Commons (a crime against the constitution) and that they resorted to passing information via the military chain of command." This concerns an entry today in the comment section at Moon of Alabama by "pmr9" that disputes the MoA author's ("b") acceptance of a report in a German paper about the sarin gas. The dispute lays out in compressed form key aspects of the controversy surrounding the incident. It is the best summary I've come across, and I believe it's the correct one -- the most correct available in open source. ... the German newspaper analysis is a sign that the tide has turned and that the official "regime change" storm is calming down. The dismantling of a major official propaganda item, like the Sarin attack, points to the introduction of a new narrative. How that will develop further is yet to be seen. I am weighted to agree, although I also believe pmr9 is right in disputing the German paper's version of the sarin attack controversy. With no further introduction, except to mention that since I've been following Col. Pat Lang's blog Sic Semper Tyrannis (since late last year) I've had no cause to question David Habakkuk's observations, and clearly Col. Lang holds them in high regard. This is an important story so it's worth examining in some detail. I don't think Abu Ahmad's story about finding "barrels filled with chlorine, sarin and mustard gas" at Regiment 111's base is credible. There's no evidence that the Syrian military has ever stockpiled or used chlorine, and sarin would be stored as binaries. The Syrian government has always maintained that none of its sarin stocks fell into opposition hands, even though this would have been an easy way to blame the opposition for the sarin attacks. The story in Die Welt appears to be based on Seymour Hersh's article "The red line and the rat line" in the LRB in April 2014. David Habakkuk, a contributor to Pat Lang's blog, has drawn together all available evidence on this story, and his interpretation can be found in the comments to several posts. He infers that UK and US defence intelligence officials were well aware by the summer of 2013 that a sarin false flag was being planned with the collusion of the civilian intelligence agencies, and worked together to block this from being used to launch a war. There is ample evidence that (1) the Nusra Front was producing sarin, and (2) that the sarin used in Syria in 2013 was kitchen sarin that did not match the synthetic pathway used for Syrian military stocks. Mokhtar Lamani, the UN Special Representative in Damascus, had reported to the UNSG in March 2013 that Nusra was bringing nerve agents into Syria through the border at Azaz. The Russian lab that analysed environmental samples from the Khan-al-Assal attack in March 2013 reported that the sarin had been produced under "cottage industry" conditions. It's likely that Porton Down had obtained similar results from their own analysis of a sarin sample from Uteybah, and were able to compare the Russian findings with their own (very helpful when trying to interpret mass spectrometry results on a complex mixture). This would have helped to establish the credibility of the Russian in this matter. The phone transcripts of the Nusra team arrested in Turkey in May 2013 showed that they were buying sarin precursors in quantities of hundreds of kilos, including white phosphorus. The OPCW labs reported that the sarin used in Ghouta contained hexafluorophosphate. This indicates that the synthesis started with phosphorus trichloride or elemental phosphorus, and that intermediate reaction products were not purified at each step. The Syrian government's sarin production started with trimethyl phosphite, bought in large quantities from the UK and India during the 1980s. Finally, Seymour Hersh has reported that the US, which fitted out the ship Cape Ray as a sarin disposal facility, obtained samples of the sarin binaries given up by the Syrian government and determined that their chemical profile did not match the Ghouta sarin. The story in Die Welt misleadingly states that "the British secret service" was in possession of environmental samples from Ghouta. It wasn't MI6 but Porton Down, which is under the UK Ministry of Defence. MI6 was reported to have provided the earlier samples from Uteybah, perhaps without realizing that the profile of impurities in environmental samples (not blood samples) would give the game away. Hersh reported that the Russians provided these samples to Porton Down and that Sir Peter Wall, then the head of the British Army, called General Martin Dempsey with the results. Dempsey then met with Obama, and forced him to call off the attack on Syria by threatening to testify to Congress (and to prime them to ask the questions) that he had told Obama that the sarin used in Ghouta did not come from regime stocks. It was at this point, on the evening of 30 August, that Obama effectively called off the attack by announcing that he would seek Congressional approval (which he knew he was unlikely to get). Up to this point he had been planning to attack without Congressional approval. On 29 August, just before the House of Commons met to debate the resolution for war on Syria, the UK Joint Intelligence Committee released a report to the Prime Minister stating that there was "no evidence for an opposition CW capability" and therefore "no alternative to a regime attack scenario". Yet only one day later, Obama had been informed that both these statements were false. It's clear that the UK defence lab scientists and defence intelligence officials were well aware that the JIC was misleading the House of Commons (a crime against the constitution) and that they resorted to passing information via the military chain of command. Young European Muslim radicals no longer listen to imams. They listen to social media. ... [Islamic State] recruitment: how and of whom? Start with Muslim communities in Europe: youngsters, mainly aimed at second- and third-gen Muslim immigrants to Europe, who are much more frustrated than ... parents. For elders, getting European citizenship was the biggest achievement of their lives, whereas their offspring blame the state and their own parents; are deeply frustrated. This is used by terrorist organizations via social networks. "Forget about France and Spain; you’re part of a much greater group, the ummah. ..."
However, what caused me to drop my note-taking pen was Dr Ganor's specific remark that the youth are listening to social media rather than imams. Do you realize what this means? For starters it means that Scott Shane's New York Times report, Saudis and Extremism: "Both the Arsonists and the Firefighters", which I linked to last week, is behind the curve of reality. The Saudi ruling family created a veritable army of clerics to control the Muslim masses, and the ruling family controlled the imams. The pyramidal arrangement worked well enough that when the masses got too far out of line the Saudis could assure other governments that they were taking steps, via the clerics, to rein in the troublemakers. The Kuwaiti interior ministry has arrested a citizen working for a governmental organization who used his office and computer for hacking the official websites of certain countries and spreading the ISIL thoughts. "This is not a rare case, rather the ISIL has many of its members inside the Arab countries' governmental bodies and institutions and all of them work for the ISIL in one way or another," Omar Badreddin, an Arab analyst, said on Saturday. Noting that the ISIL has formed an cyber army using the resources of the Arab and western world, he said that the terrorist group is leading a cyber war against the world nations. Badreddin said that the Kuwaiti security forces have arrested a person, namely Othman Zain Nayef who used his office and computer to promote ISIL thoughts through the social media, adding that Nayef has admitted that he was a member of the 'Caliphate Cyber Army' and expert in hacking the websites used by other ISIL members. The problem now for Saudi rulers is there's no master sorcerer to save them from the consequences of their foolish use of religious preceptors to maintain order in the kingdom. That should have been evident to them after the stampede at last year's Hajj. They were unable to control the news getting out that the death toll was much higher than their official announcement. And Muslims the world over who'd lost loved ones in the stampede weren't listening to clerics who told them it was a blessing to die while on the Hajj. They wanted the Saudi rulers held accountable. The rulers had no intention of being held accountable. Situations like that have helped destroy the authority of the clerics. Their authority is passing to -- what did Nayef call it? A caliphate cyber army. CHINESE AIR FORCE TO JOIN ANTI-TERRORISM OPERATIONS IN SYRIA. Maybe. Heeeere comes the cavalry Pundita stop hopping up and down on the couch. Besides it's not a done deal. Not yet. I think it must be a first for the Iranian government news agency to quote an Israeli source but the FARS editorial staff is probably also hopping up and down in excitement. However, from my quick trip to DEBKAfile just now, the report there quoted by FARS must be behind a paywall because I don't see it -- unless DF took down the report after they saw FARS had picked it up. How right are DEBKAfile's intelligence reports? They claim they can demonstrate 80 percent accuracy. Anyhow the report is too juicy not to headline. And I don't want to hear that I'm being contradictory by cheering on China in Syria. The West had its chance. It preferred supporting Al Saud and Al Thani, and the Turks. While a very old pluralistic people are methodically destroyed. Already it's being called a holocaust. TEHRAN (FNA)- Media sources disclosed that a Chinese military delegation in a visit to Damascus explored avenues for the dispatch of a number of warplanes to Syria to intensify the war on terrorism in the Middle-Eastern country. "In a surprising visit, a Chinese military delegation conferred with Syrian Defense Minister Fahad Jassim al-Freij over engagement of Chinese fighter jets in bombardments of terrorist groups' positions in Syria, mainly in Aleppo," Debka file quoted a military analyst as saying. Earlier this month, Beijing and Damascus agreed that the Chinese military to provide humanitarian aid to Syria, a high-ranking People's Liberation Army officer said, adding that the training of Syrian personnel by Chinese instructors was also been discussed. Director of the Office for International Military Cooperation of China's Central Military Commission, Guan Youfei, arrived in Damascus for talks with al-Freij. I'm beginning to wish Gregory Copley would just enjoy his vacation in Australia and shut up. By the time he finished detailing for John Batchelor's Friday radio audience whatever happened to President Obama's Asia Pivot, I was sitting under the kitchen table and sucking my thumb. It might take the rest of the century to untangle the mess Mr Obama made but by then it will be TOO LATE. Well, in times like these all one can do is sing. See the post I put up a few minutes ago. Next up: O Magnum Mysterium. Thanks Charles! You can't sing any worse than Ryuichi Sakamoto. So what's your excuse for not singing? It isn't only that he has a crummy voice for singing but amazingly, given his brilliance as a composer, he can't even carry a tune. Yes, for all his many accomplishments as a composer and pianist Ryuichi Sakamoto can't sing. Well too bad for the audience because he wanted to sing a couple songs for his 1992 Heartbeat concert at Nippon Budokan ("Rock 'n Roll's Eastern Palace") in Tokyo. Come to think of it Bob Dylan sounds like two tomcats fighting at 3 AM when he sings but that never stopped him either. However, Ryuichi's singing for Sayonara was so awful that at one point in the five-minute set I felt sorry for the band members, all of them accomplished musicians in their own right, and the backup singer. The sympathy was wasted. To my utter disbelief -- I had to listen to the set twice before I'd believe my ears -- the troupe onstage, with two violinists leading the charge, transformed Sayonara into a paean to lyricism. In the old days people shared music, they didn't care who made it; a song would be owned by a village and anyone could sing it, change the words, whatever. That is how humans treated music until the late 19th century. Now with the internet we are going back to having tribal attitudes towards music. Everybody in the tribe has to pitch in with the music, right? The designations of good and bad singing evolved from performance art. They have nothing to do with singing as the language of the heart. [smiling] Then again, maybe he just wanted to sing. Here's a list of the musicians who accompanied him, which I found at a YouTube posting of another set from the same concert. See also Heh. So he can carry a tune (August 28). "All dead on the sampan."